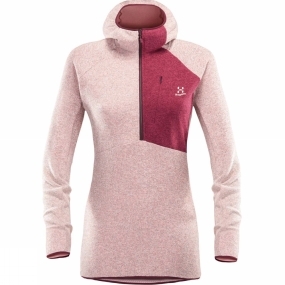 The Womens Nimble Hooded Top from Haglof is a comfortable and perfectly-weighted thin knitted pullover will keep you confident during any activity and on any occasion. The material looks good, and is also combined with a mesh backer for better moisture management. Easy to get on and off, and layers very well, making this a versatile activity piece.